The Eagles won 1-0 in a divisional powerhouse match up vs Unity Christion. It was a sloppy wet battle in the misting rain, and both teams saw their fair share of chances. GR Christian had an early opportunity when Tommy Visser was able to get behind the Unity back line, make a move around the keeper only to have a defender clear the finish off the line. Unity had a similar chance on goal with John Welch making the play clearing the ball off the Eagle goal line. Both teams would continue to battle with the Eagles finally scoring with five minutes left in the second half. Nate VanHarn got a knockdown and played a nice through ball to Tommy Visser. After drawing a defender, Tommy slipped the ball behind the back line to Trey McBride who calmly placed the ball into the side netting. 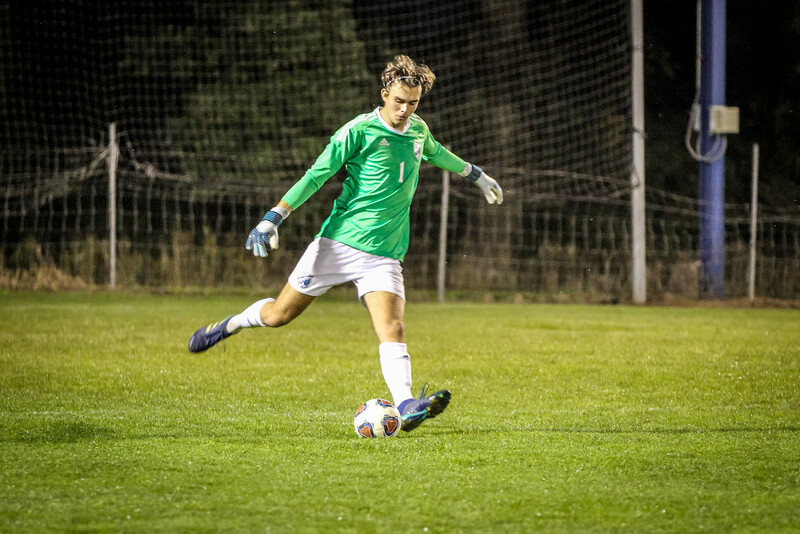 Unity came back swinging with high pressure the last 4 minutes of the game, but Daniel Wunder and the Eagle defense were able to endure the pressure and secure the shutout.